This is a big image and worth every pixel. 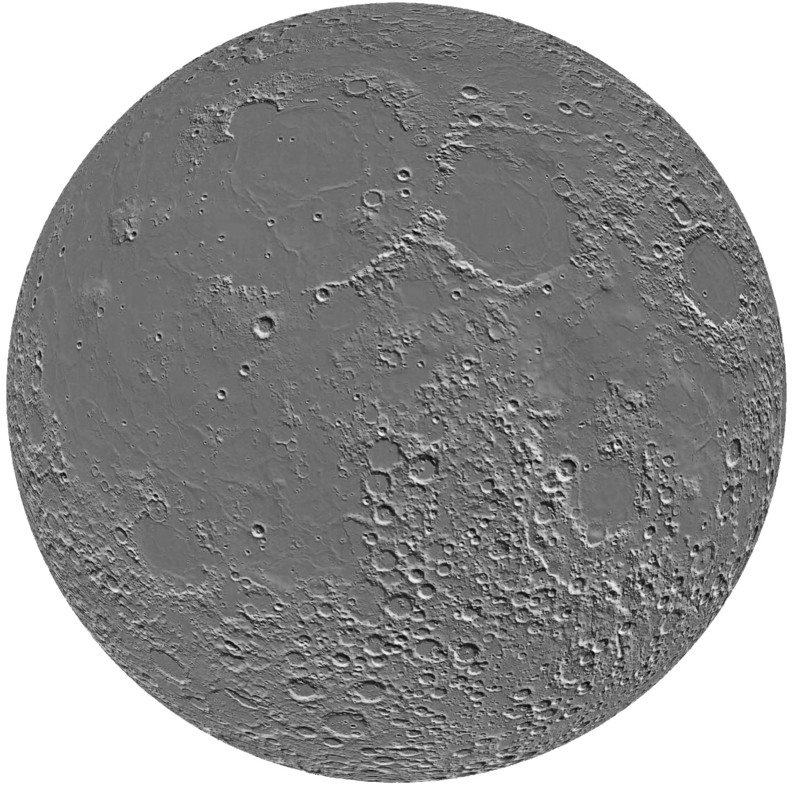 JAXA has recently released a significantly improved version of their earlier Kaguya topography map of the Moon. The new map is based on enough laser altimetry data points (over 6 million) that when you suppress the colors that represent elevation you get the best image map of the Moon that has ever existed. And the elevation data is still there as indicated by shading. This wonderful image map reveals may interesting subtle topographic anomalies that I am sure JAXA scientists will be studying. For example, notice that the Marius Hills and its adjacent giant swell are an elevated area comparable to the Aristarchus Plateau. I didn't know there was a huge swell between Triesnecker and Hyginus. The Gardner Megadome really is an unusual feature. Is that a long trough on the southwest side of Serenitatis? Why? This quick tour of a fantastic new resource will transform our ability to ask and hopefully answer important new questions about the Moon. This is presumably not the final topo image map that Selene/Kaguya will produce so we can look forward to more detailed depictions of an unknown moon. This page was last modified on 7 February 2015, at 21:42.